Eigerøy lighthouse was built in 1854, and was the very first Norwegian cast-iron tower. The tower stands 32,9 metres high and the different units are bolted together. The inside is lined with bricks. The various units were cast at Bærum Verk outside Oslo, where 75 men were working on this prestigious project, led by the Director of Lighthouse Affairs himself who had taken the idea of building cast-iron lighthouses from England. Eigerøy lighthouse was de-manned in 1989, and all the buildings, except the tower were sold in 2005. The station is declared a national monument under the Cultural Heritage Act. Guiding the way - The need for a lighthouse at Eigerøy was discussed already in the first Norwegian Lighthouse Commission of 1828. After several complaints in the early 1850-ies, it was decided to erect a strong coastal light at the southern entrance to the shallow waters outside Jæren. 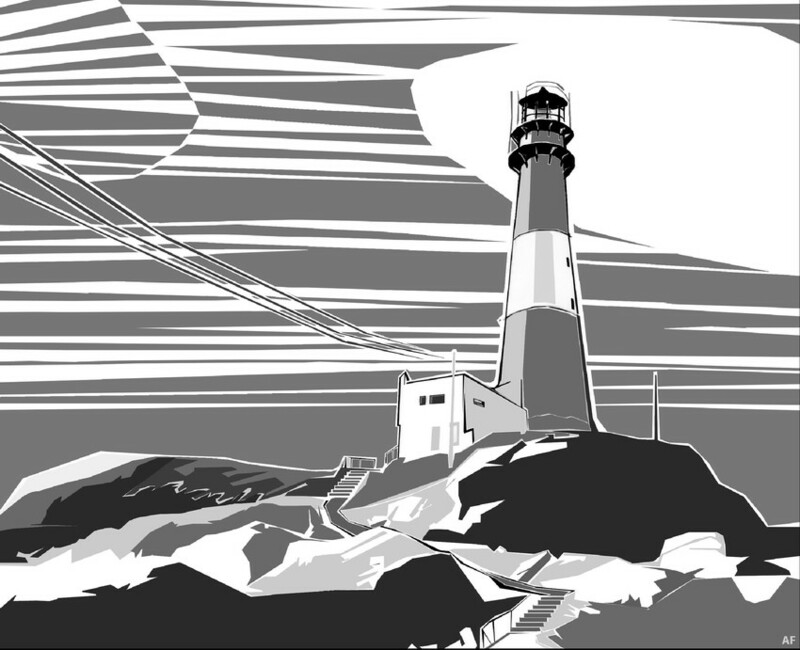 In 1852, a public lighthouse commission was assigned the task of determining the location of a new coastal lighthouse between Lista and Kvitsøy. 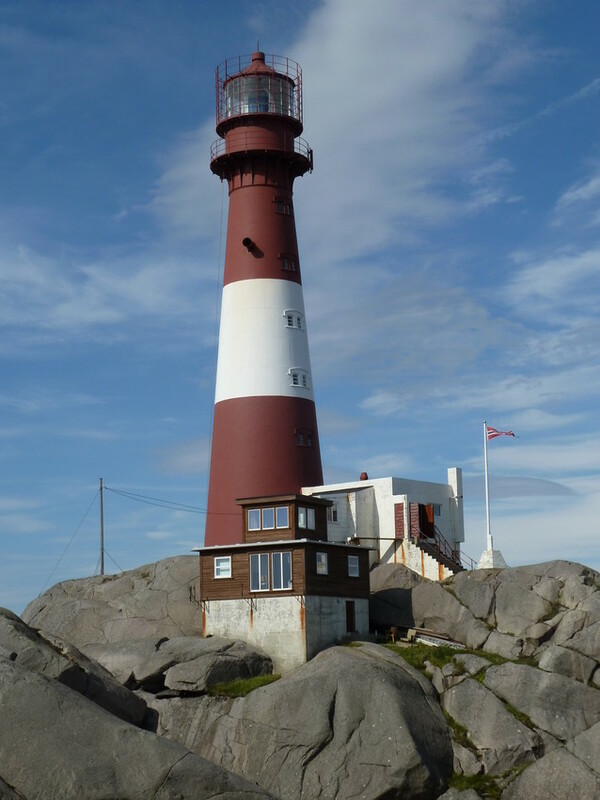 The Lighthouse Director considered it essential for the light to be seen far out at sea and to be the first landmark for ships coming towards Jæren from the south. Ships from the north also had to be able to see the lighthouse and steer clear of Kvassheim and Ogna Bay. Eigerøy was therefore considered the most optimal location. It was commissioned in 1854 as Norway’s first cast-iron lighthouse. Eigerøy Lighthouse was automated in 1989, and the city of Eigersund later took over and turned it into a coastal cultural centre. The complex now includes overnight accommodation and a Sunday café in the lighthouse keeper’s residence.